Banbury beat Oxford by 27 runs in Monday’s Home Counties Premier Cricket League Twenty 20 Cup first round tie. 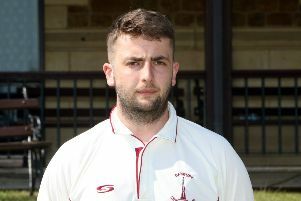 Captain Lloyd Sabin elected to bat at Jordan Hill but Banbury were soon in trouble as they lost Craig Haupt who was stumped by Jamie Perkin off Harvey Eltham. Sabin steadied the ship and helped Banbury to recover as he and Tom Bartlett took the score along to 74-2 before the former Hook Norton batsman was caught by Abdullah Sadiqi off Muhammad Ayub for 26. Charlie Hill joined his skipper at the crease and the pair took the score along to 140-3 when Sabin was caught by Perkin off Sadiqi for 82 runs which included eight fours and a six. Banbury closed on 180-4 from their 20 overs with Hill unbeaten on 47 runs which included five fours and a six. Oxford made steady progress in reply but wickets fell at regular intervals as they reached 67-5. Owyn Tong-Jones 19 and Sadiqi 18 took the score along to 108-6 before Mark Beer hit an unbeaten 47 runs to put Oxford back in contention. But the runs dried up as Oxford finished on 153-8 while Jimmy Phillips took 3-23 and George Tait picked up 2-28.